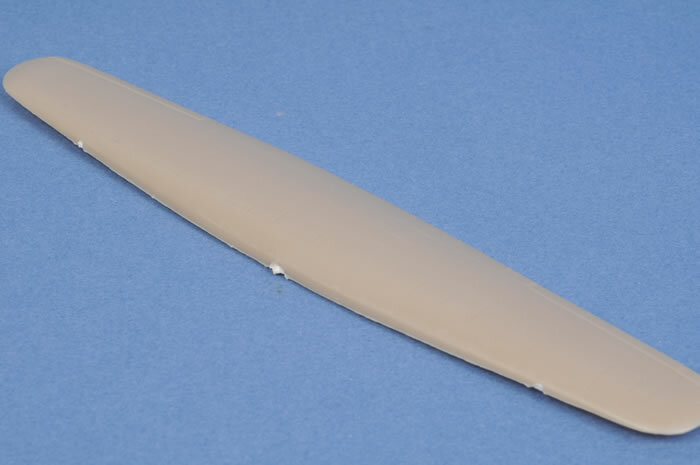 AZ Model continues to produce fine quality products, this time a 1/144 scale Avia/Fokker F.VIIb-3m Military version. The Fokker F.VII was an airliner produced in the 1920s by the Dutch manufacturer Fokker, Fokker’s American subsidiary Atlantic Aircraft Corporation and other companies under licence. The original Walter Rethel design of 1924 was a single engine high-winged monoplane. Anthony Fokker modified the design with two additional engines to enter the inaugural Ford Reliability tour in 1925, which it won. 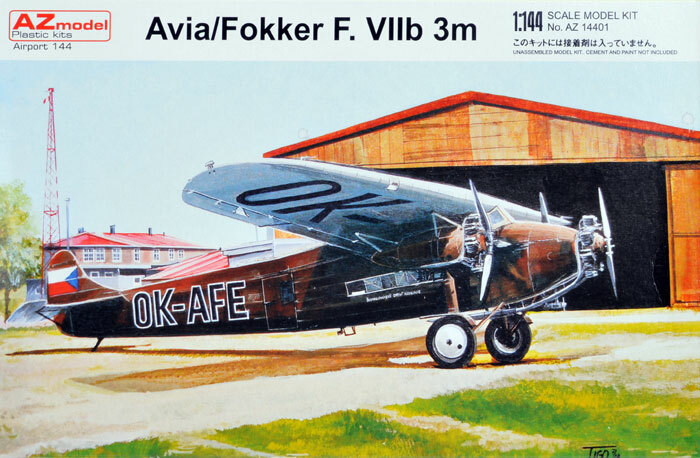 Consequently the production versions of the F.VIIb-3m and F.10 all had 3 engines, and the aircraft became popularly known as the Fokker Trimotor. 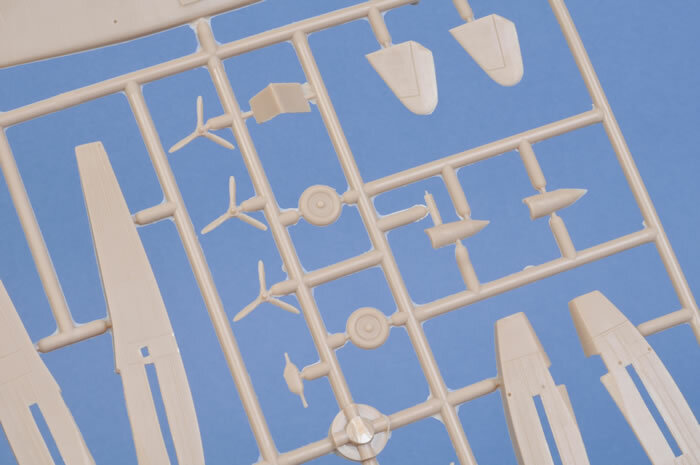 The kit contains 27 injection moulded plastic parts, 3 resin parts, 33 etched metal parts and 4 clear photo parts. 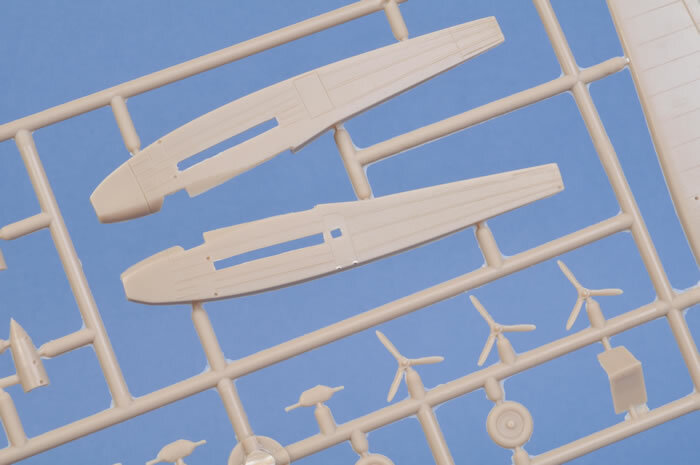 The kit has excellent detail for 1/144 scale and looks as though it will build into an accurate representation. 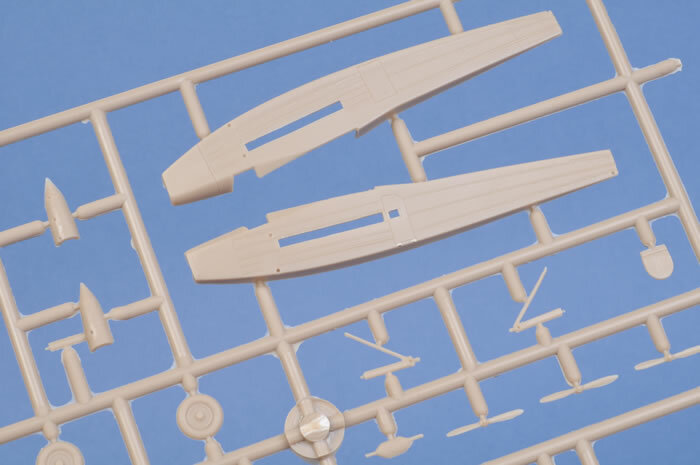 The panel lines are very fine and do not look out of scale. 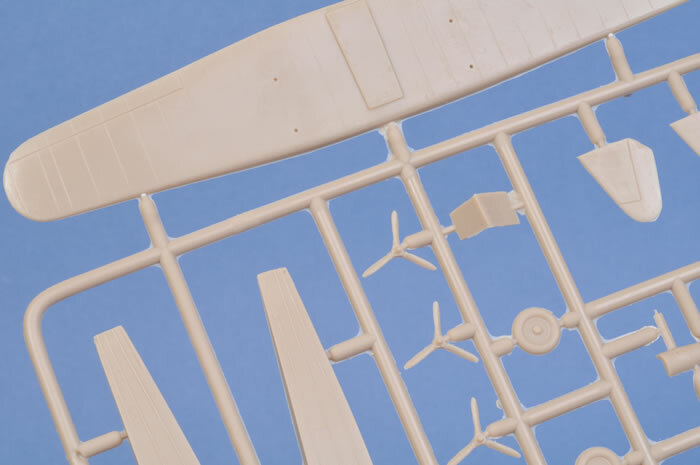 The cockpit has an acceptable level of detail including a photo etched instrument panel and the photo transparencies are very thin and clear. 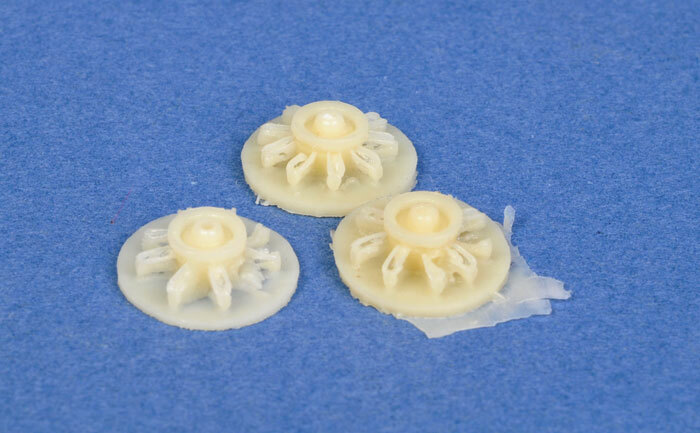 The engines are beautifully moulded in resin. 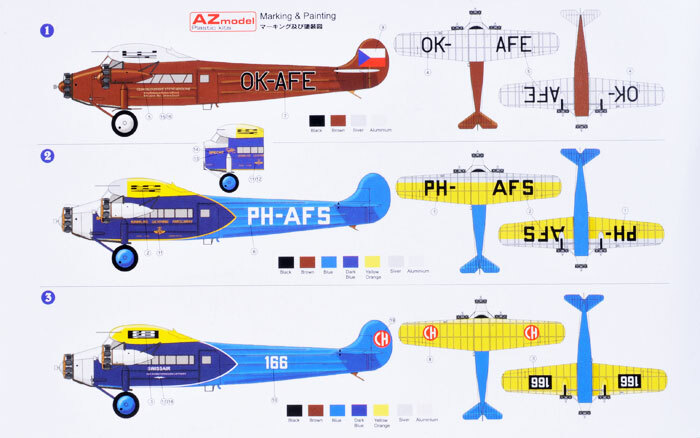 The decals are superbly printed and they have good colour saturation and are in perfect register. The carrier film is ultra thin and my experience with this type of decal is that they have to be handled carefully and will snuggle down into the surface detail well. The carrier film then almost totally disappears under a coat of clear. The detail in the data decals is finely printed. 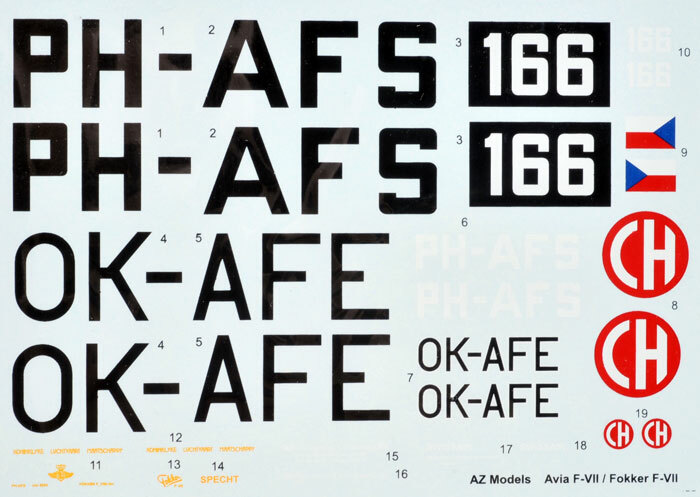 The instruction sheet is printed in black and white but a colour guide is printed on the back of the box and gives good indication for decal placement. 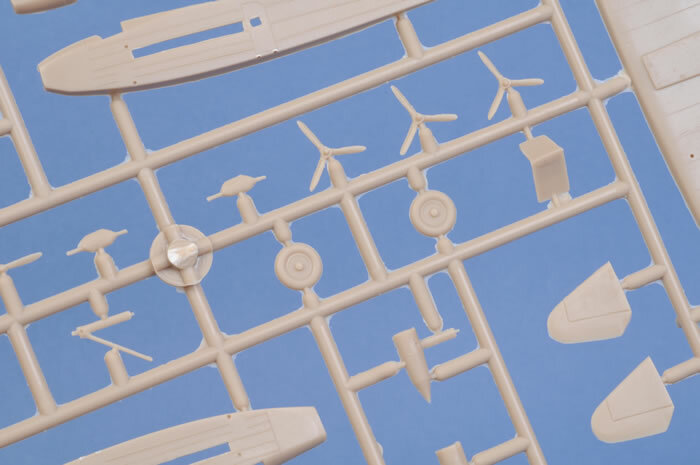 The schemes provided in this kit are for a Swiss (brown fuselage with silver wings), Czechoslovakia (Dk and Lt Blue fuselage with yellow wings), and a Dutch aircraft (Dk and Lt Blue fuselage with yellow wings).